but was also infused with the aboriginal cultures of native peoples, with traces of Western and Japanese aesthetics. 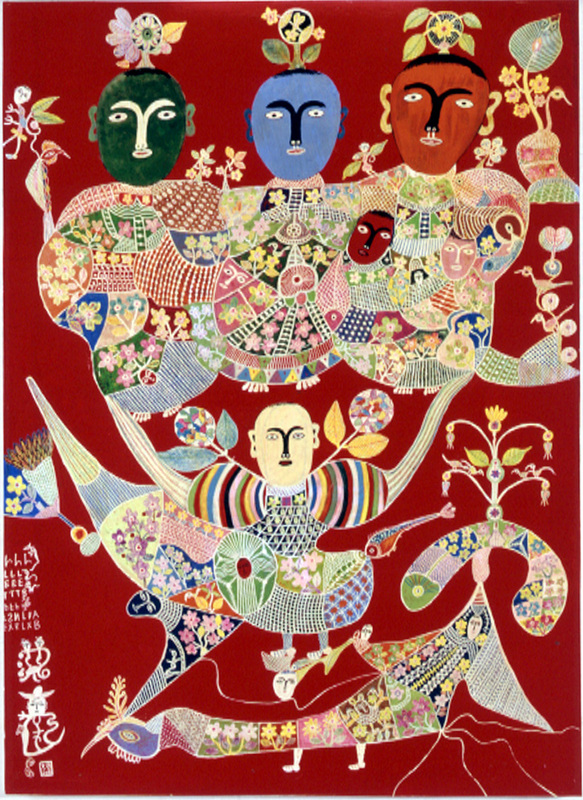 The search for exceptional vernacular art led to Tainan, on the southern west coast, and eventually to visionary artist Hung Tung. painting passionately, obsessively, to the exclusion of all other work. 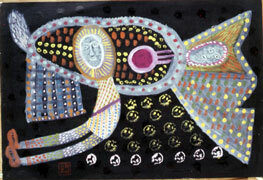 Hung Tung's earliest paintings are imbued with a great sense of spontaneity. Simple markings seem to come from his own private revelations, supernatural beings peering out from blotches of paint. As he began his self-training he filled notebooks with images and calligraphy that was not readable but functioned pictorially. Nonetheless, he finished each of these compositions with his seal, just like a traditional Chinese painting. Hung Tung's first painted scrolls were mounted on the back wall of a famous temple. Hung Tung took the classic scroll of Chinese painting, and turned it into a surface for his relentlessly exuberant expressions of the natural and supernatural world. His style, direct and colorful, favors flat frontal views. 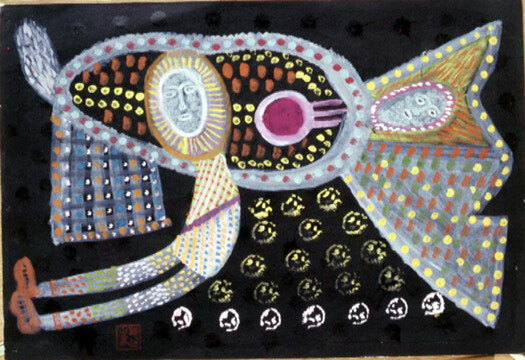 Most inventive are his composite forms within forms, where, inside of figures, animals, and planes, is contained a microcosm of spirits and plants.